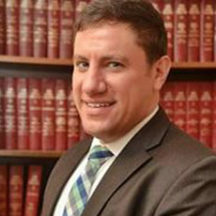 Samuel Tsinman graduated from Seton Hall University School of Law in 2010. He was admitted to the New Jersey and the U.S. District Court District of New Jersey in 2011. Prior to law school, he earned an undergraduate degree from Johns Hopkins University. Since joining the firm, he has practiced in the areas of consumer fraud, personal injury, employment discrimination, criminal defense, and general litigation. He is a member of the New Jersey State Bar Association and the Union County Bar Association. Forman & Cardonsky represents clients throughout Northern New Jersey, including Elizabeth, Newark, Rahway, Linden, Irvington, East Orange, Union, Hillside, North Plainfield, Springfield, Union City, Jersey City, Union County, Essex County, Middlesex County and Somerset County. © 2018 BY FORMAN & CARDONSKY. ALL RIGHTS RESERVED.